Graduating students from the University of Cincinnati College-Conservatory of Music’s Acting program present the annual Senior Showcase at 2 p.m. and 7 p.m. on Friday, March 29, 2019, in CCM’s Robert J. Werner Recital Hall. CCM Acting’s Class of 2019 will also present the showcase at 1 p.m. and 3 p.m. on April 2, 2019, at New York’s Griffin Theatre at the Pershing Square Signature Center. The showcase will also be performed at 1 p.m., 4 p.m. and 7 p.m. on April 16, 2019 at Los Angeles’ Garry Marshall Theatre. The showcase performance features a variety of scenes by CCM Acting’s Class of 2019, demonstrating the depth and breadth of the acting skills they have honed during their undergraduate training at CCM. The evening performance in Cincinnati will be followed by the 16th annual DOLLY awards recognizing excellence by students in CCM Acting, as well as a reception in the CCM Baur Room. Event details are below. Jacqueline Daaleman is a graduate of the BFA Acting program at the University of Cincinnati College-Conservatory of Music (CCM). Born and raised in northern New Jersey, no, she still does not know how to pump gas. 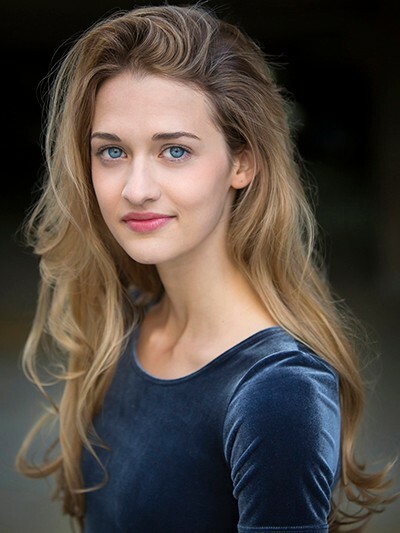 At CCM, she played Phoebe in Gracie Gardner’s world premiere of Very Dumb Kids, Voltaire in Candide with CCM Opera and Dabby Bryant in Our Country’s Good. Other favorite credits include: Launce in The Two Gentleman of Verona with RADA (London, UK), Linda in Charlie’s Girls at the Boulder Fringe Festival and Pearl Bryan in Pearl Bryan with InBocca Performance (KY). Film credits and voice over credits include: “Poetry Girl” (Amazon), “CRAIG” and “A Model Friendship”. In addition to theatre, Jacqueline loves to sing, make people laugh, travel around the world and foster puppies. Learn more at jacquelinedaaleman.com. 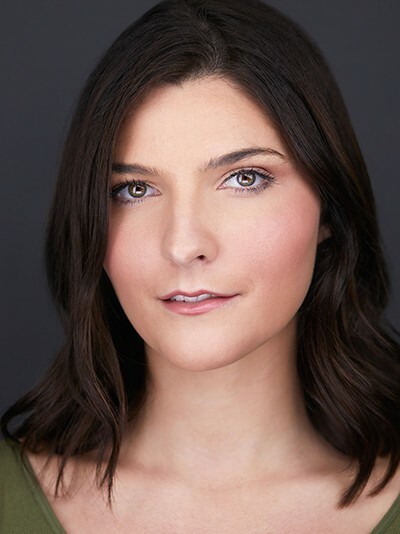 Gabriella DiVincenzo is a Massachusetts native and is filled with joy to be graduating with a BFA in Acting from the University of Cincinnati College-Conservatory of Music (CCM). She was seen on the CCM stage in Hamlet as Horatio and The Government Inspector as Anna Andreyevna. She made her professional debut at the Know Theatre of Cincinnati as Amanda in Darkest Night at the Gnarly Stump. Her favorite film experience in was "You've Met Your Match" when she played a feisty femme fatale. She is wildly passionate about theatre and has worked as a director/producer on many of her own projects, including LUNGS and Men on Boats at the Liberty Exhibition Hall in Cincinnati. Gabriella is also an accomplished voice over artist. Learn more at gabrielladivincenzo.com. 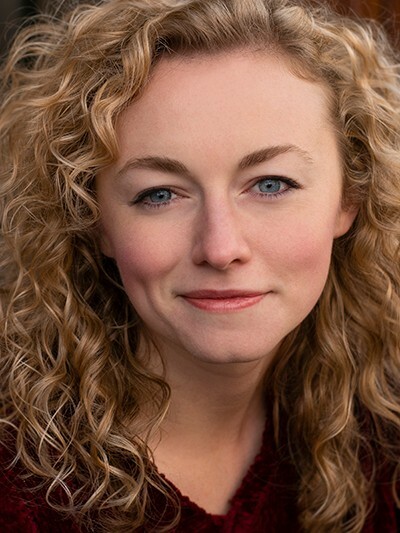 Sarah Durham is a graduate of the University of Cincinnati College-Conservatory of Music (CCM) with a BFA in Acting, and minor in Directing and Filmmaking. She has acted in many film festival winning shorts, and acts, writes, directs and produces for film and theatre. She is certified in Rapier and Dagger, Single Sword, Broadsword and Recommended in Unarmed Combat by the SAFD. Some of her favorite roles include Men on Boats (William Dunn), Di and Viv and Rose (Diane), and Shakespeare’s Fine Wit (Hermia). When she's not busy with theatre and film, she loves running ultra-marathons, painting, reading comic books, playing tennis and basketball, paddle-boarding, kayaking and cuddling her adorable cat, Robin (named after Batman's Tim Drake). Learn more at sarahdurhamactor.com. 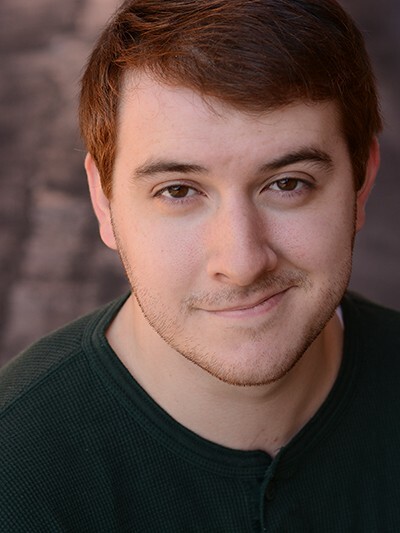 James Egbert earned his BFA in Acting from the University of Cincinnati College-Conservatory of Music (CCM). Originally from Bethlehem, Pennsylvania, James has always enjoyed Shakespeare and the classics. Some of his favorite roles on stage include the Lead in the one man show Every Brilliant Thing, Friar Lawrence in Romeo and Juliet and the Father in Sarah Ruhl’s Eurydice. Some of his favorite film credits include his hero in the award winning Casper (produced by HighSock Productions), and his comedic relief in the horror film House of Hell (Directed by Jacob Berry). He is accomplished in Stage Combat, and specializes in Rapier and Dagger, Unarmed, Single Sword and Broadsword. In addition to acting, James loves playing chess, writing and all things Star Wars. Learn more at jamesfrancisegbert.com. 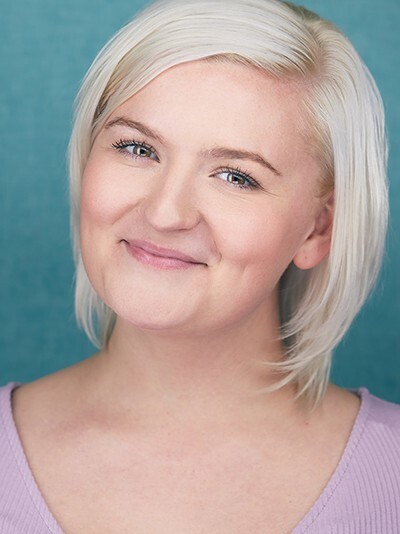 Ella Eggold is a young artist who is passionate about using theater as a way to bring light and connection to places that do not have enough of either. 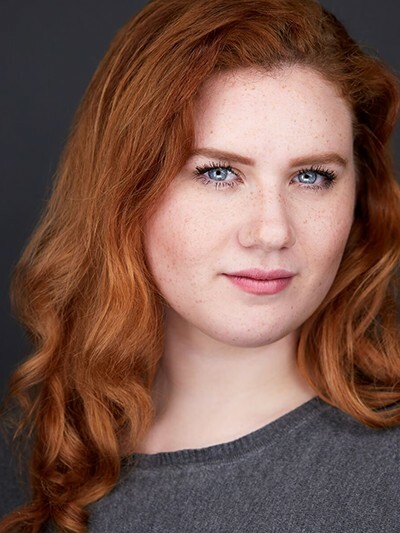 Ella has earned a BFA in Acting from the University of Cincinnati College-Conservatory of Music (CCM) and is also a classically trained vocalist. Favorite credits include Helena in A Midsummer Night’s Dream (Purdue University), Gertrude in Hamlet (CCM), Lanie in God’s Ear (Purdue University), Rose in Di and Viv and Rose (Whoville Theater) and Bottom in Shakespeare’s Fine Wit (CCM). Although the majority of Ella’s training has been in acting, she has experience in producing, stage managing, set design/set building and lighting. When Ella is not doing theater, she enjoys making (and eating) ice cream, reading books and watching movies. Learn more at ellaeggold.com. 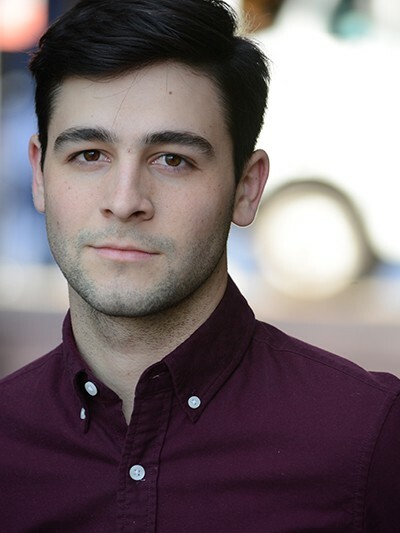 Carter LaCava is an actor, writer, producer and painter with a BFA in acting from the University of Cincinnati College-Conservatory (CCM). Some of his favorite credits from CCM include: The Ghost/Gravedigger in Hamlet, Ivan Alexandrovich Hlestakov in The Government Inspector and Robert Sideway in Our Country’s Good. Some credits outside CCM include: Notwet in the New Stroke Ensemble’s Twothousandelever, Even in The Aliens at Rohs Street Café, and he performed in a reinterpretation of John Cage’s Theatre Piece No. 1 with the SITI company in Saratoga Springs, NY. 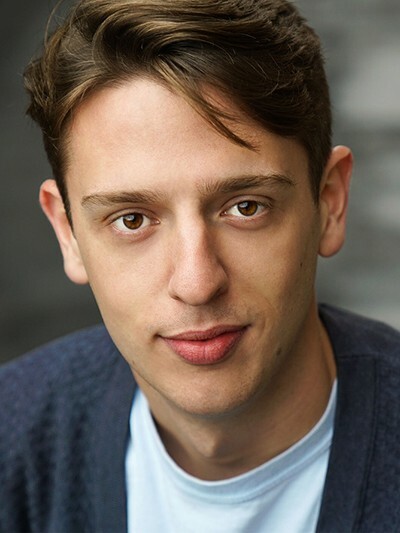 In 2017 he trained at Skidmore College for the month-long SITI summer theatre workshop, and has since continued his individual physical theatre practice. He is also an actor-combatant with the SAFD, with a certificate in Rapier and Dagger and in Unarmed. Outside of the theater he enjoys long walks in the local park, playing RuneScape and painting. Learn more at carterlacava.com. Madeleine Page-Schmit is thrilled to have earned her BFA in Acting from the University of Cincinnati College-Conservatory of Music (CCM). Her favorite CCM credits include: Our Country's Good (Mary Brenham), Di and Viv and Rose (Viv), Con Amore: A Romeo and Juliet Selection (Juliet) and Eurydice (Little Stone). Madeleine wrote, produced and performed an original one-woman show, Casquette Girl, which premiered at the Clifton Performance Theatre in Cincinnati. Casquette Girl is based on the life of her 18th century French ancestor and is charged with forgotten history and themes of female disempowerment and immigrant resilience. Madeleine has studied global health and Buddhism in Thailand, visited the Chinese village where her grandmother was raised, lived with a host family in rural Senegal and written and performed at the Edinburgh Fringe Festival. She is passionate about building relationships cross-culturally, and also about cheese. A Denver native, Madeleine adores spending time in the mountains hiking and rock climbing. Learn more at madeleinepageschmit.com. R. Graham Rogers is an actor, writer, director and producer who recently earned his BFA in Acting from the University of Cincinnati College-Conservatory of Music (CCM). Some of Graham’s CCM highlights include: The Mayor in The Government Inspector, Various Men (eight!) in the world premiere of The Earth is Flat and Landscaper/Attendant/Man on Date in Middletown by Will Eno. Graham’s film highlights include: the Joker in You’ve Met Your Match, a Batman gay fanfic; College Boys and HighSock Productions’ The Update. Graham loves being a part of and creating new works. He’s been a part of at least eight theatrical world premieres to date, plus more than 20 student films, thanks, in large part, to three years as co-Artistic Director of a small production company he and his roommate ran while in school. In addition to art Graham enjoys meditation and dad jokes. Nothing else! If you haven’t heard Graham laugh, you’re missing out. Learn more at rgrahamrogers.com. Students from CCM and Otterbein University present their showcases to industry professionals. Visit ohioactorshowcase.com to reserve seats. Students from CCM and Missouri State University present their showcases to industry professionals. Visit theatreanddance.missouristate.edu/showcases/LA.htm to reserve seats. Admission to the CCM Acting Senior Showcase on March 29 is FREE; reservations are not required.